This was poorly made for the Shacknews Game-Jam. I'll be very disappointed if it wins as it is a simple, bad game, made quickly. this is a find the hidden object game, featuring some memes popular on Shacknews.com's Chatty message board. 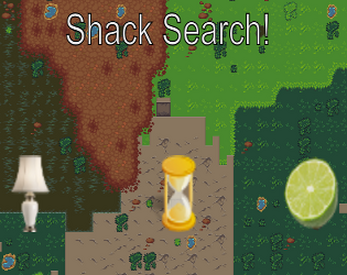 Find the Sand, Lame, and Lime, in the randomly generated level, as well as a few other special things. Music is .ogg, so won't work on IE or EDGE. Safari not tested at all. Took me 2 minutes to find them all. I liked the challenge!